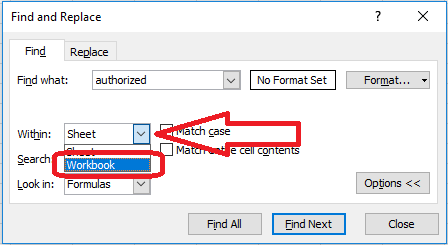 How do I search in a whole workbook in Excel? How do I search for a word or phrase across multiple sheets in a workbook in Excel 2007, 2010, 2013 and 2016? Why would I want to search a whole workbook? 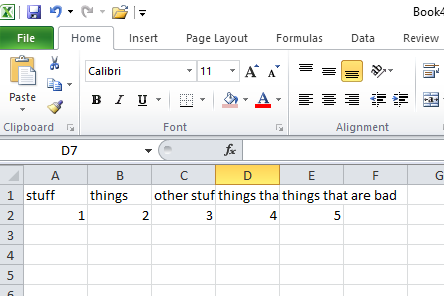 We think of Excel as being used primarily for numbers (although you might want to search for those, too), but I often encounter spreadsheets full of text. 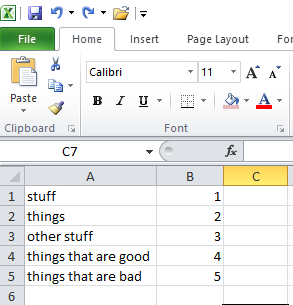 For example, when I’m localising text from US to UK English, or editing text that’s been translated, and it’s been output from a translation tool such as Trados, it often comes to me in an Excel spreadsheet. Just like when I’m editing a Word or PDF file, I often want to either look for all instances of a word I want to change or check that I haven’t missed anything. And if that word might be in any one of many sheets in a workbook, I will want to search all of those sheets. How do I perform a search in all the sheets of a workbook? In this example, I want to find all the instances of the word “authorized” in all the many sheets in an Excel workbook. Using this search without changing anything will just search in the sheet I’m currently in. 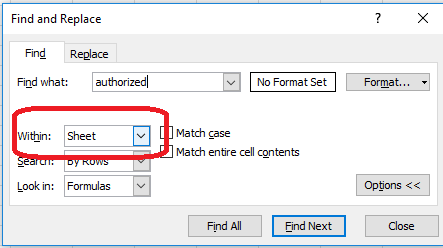 Now when you click “Find Next”, it will find the cell where that text is throughout the whole workbook. 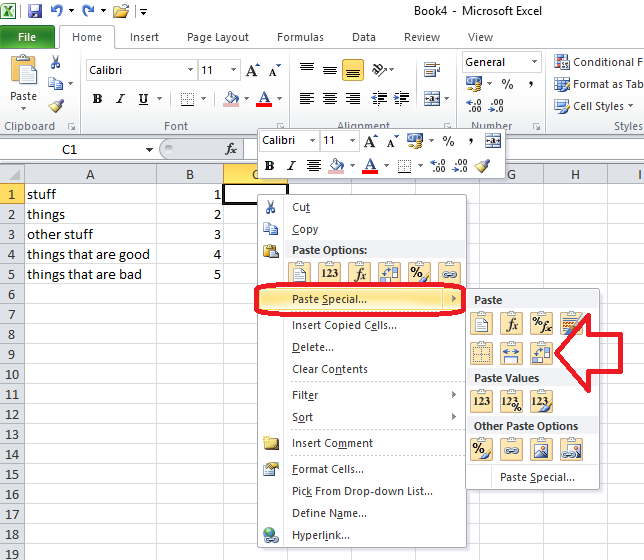 In this article, we’ve learned how to search a whole workbook in Excel 2007, 2010, 2013 and 2016. If you’ve found this article helpful, please do post a comment below, and if you think others would find it useful, please share it using the sharing buttons below the article. Thank you! How do I print the column headings on every sheet in Excel? 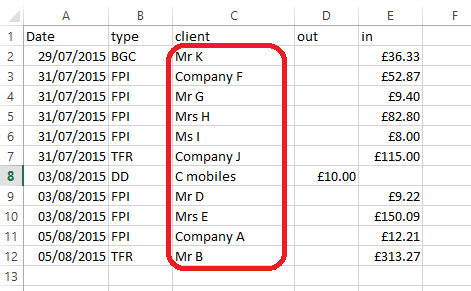 How to flip a column in Excel – turn it upside down but keep the exact same order! How do I count the number of times a word appears in my document? I was asked this question during the week, so here’s how to count how many times a particular word appears in a document (or spreadsheet or anything). The easiest way to count the number of instances of a word is to use the Find function. Access Find using Control-F (press the control key and F at the same time). Type in the word you want to search for. Word will find and highlight all instances of the word and highlight them for you – and will tell you how many times it appears! 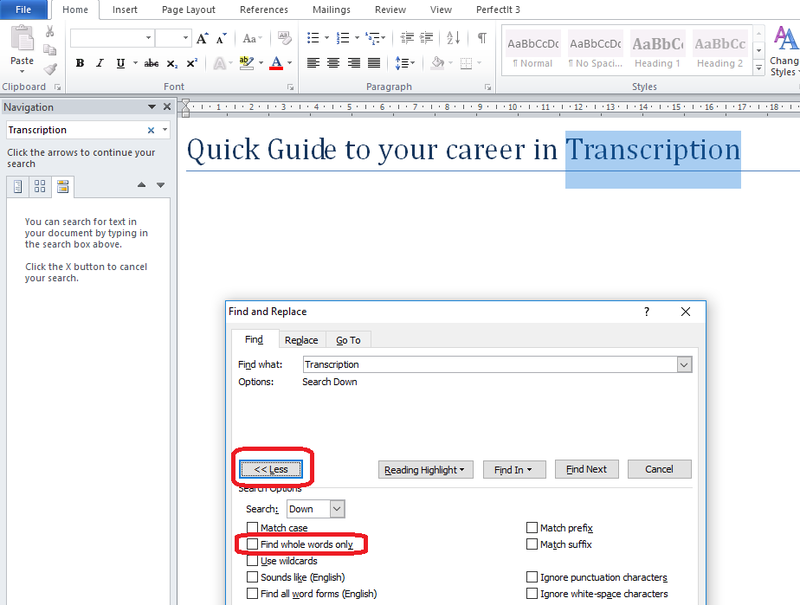 Note: this search for transcription will find that word buried in other words, too – so TRANSCRIPTIONs and TRANSCRIPTIONist. 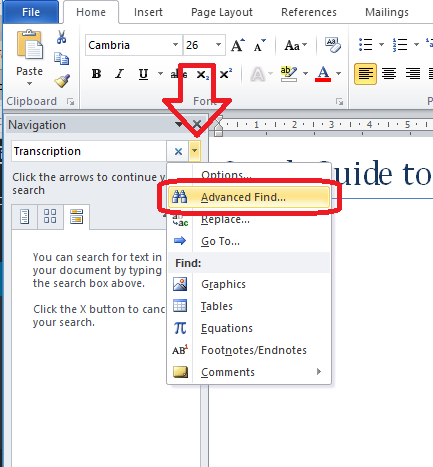 To find just the single word transcription, you need to use Advanced Find. Now Word will count and highlight just the instances of this exact word. This article has taught you how to count how many times a particular word appears in your document. You can use this method in Excel and PowerPoint, etc. too. If you’ve found it useful, please click like and share it. Thank you! How do I change a column into a row or a row into a column in Excel 2007, 2010 and 2013? 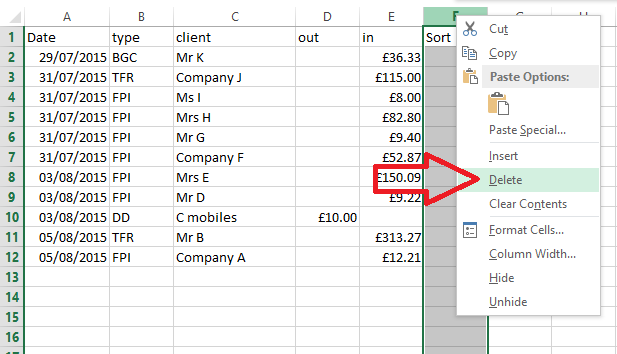 In this article, I’m going to explain how to change a column into a row or change a row into a column in Excel 2007, 2010 and 2013 (I think this works in 2016 too but have not yet tested it). Why would I want to swap a column for a row? You might start off creating a header row then decide it should be a column, or create a spreadsheet then want to rotate it 90 degrees. Or, worse, someone might decide that for you and expect you know how to do it! Now, and this is important, find a free, empty cell to paste into. Don’t worry about it being in the middle of the spreadsheet, we will tidy that later. 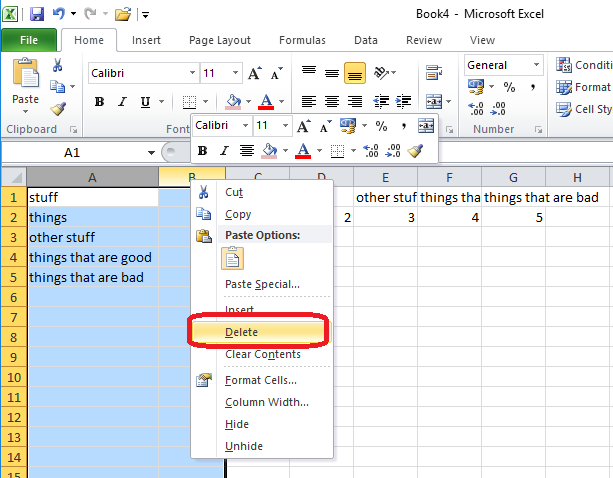 Behind all those dialogue boxes, Excel will show you what this is going to look like. And here’s your spreadsheet, the opposite way around from how you started! In this article, we’ve learned how to change rows into columns and change columns into rows in Excel 2007, 2010, 2013 and probably 2016. How do I flip a column in Excel 2007, 2010 and 2013? 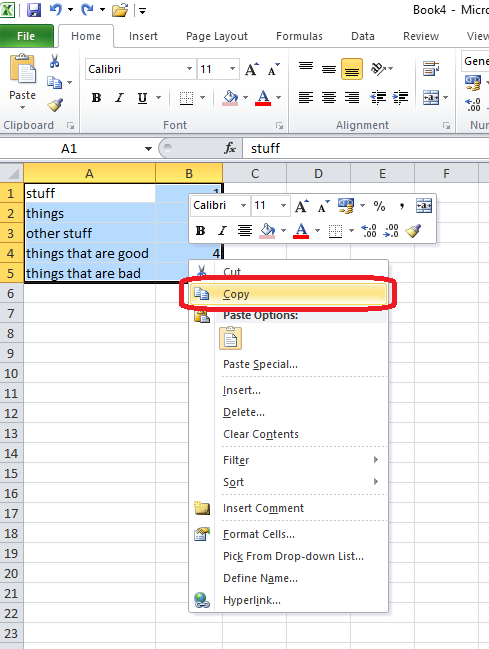 In this article, I’m going to explain how to flip a column in Excel 2007, 2010 or 2013 (using screen shots from Excel 2013). Flip a column is what I searched for – you might have asked how to reverse a column or put a column in reverse order. Note: I was a bit surprised by the solution to this one, but I’ve asked the experts and it is the only way to do this. If you have a better and simpler way (that doesn’t involve macros or coding) please pop a comment on this article or contact me! Why would I want to put a column in reverse order? I’m doing my accounts at the moment. I have a spreadsheet of my bank transactions which runs from the newest at the top to the oldest at the bottom. My list of invoices runs from the oldest at the top to the newest at the bottom. If I want to compare them, I want them to both be the same way around, but I need the bank transactions to be in exactly the same order, just the other way around. Will using Data > Sort flip my column? 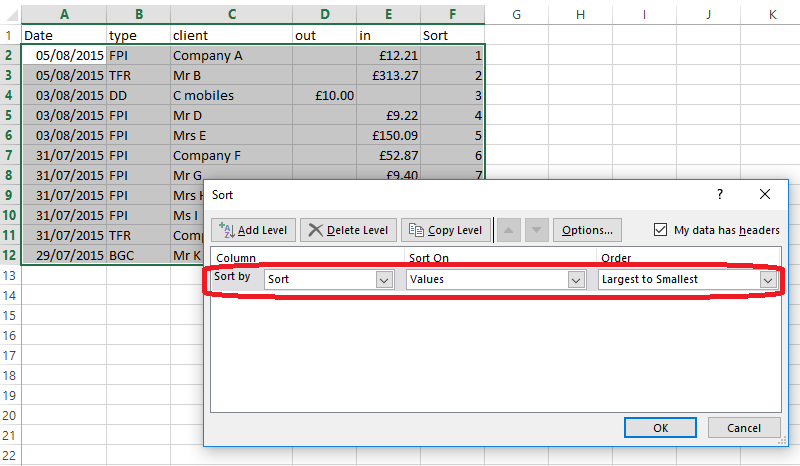 The usual way to change the order of columns in Excel is to use the Data > Sort function. However, if you sort by transaction date, it won’t necessarily sort it into the same order the other way around. So, how do I flip my columns so they’re in exact reverse order? To do this, we need to create an extra column to sort by, and then reverse sort by that rather than date or any other column. Then, copy the cell with the formula (right-click, copy), highlight the rest of that column down to the last row and right-click, paste. This will give you the same effect. Note, though, when you sort by this column, the numbers will turn into rows of #####, BUT the sort will still work OK.
Once you have your additional Sort column, you are ready to reverse your columns. and here’s your bank transactions in reverse order – you have flipped the column! 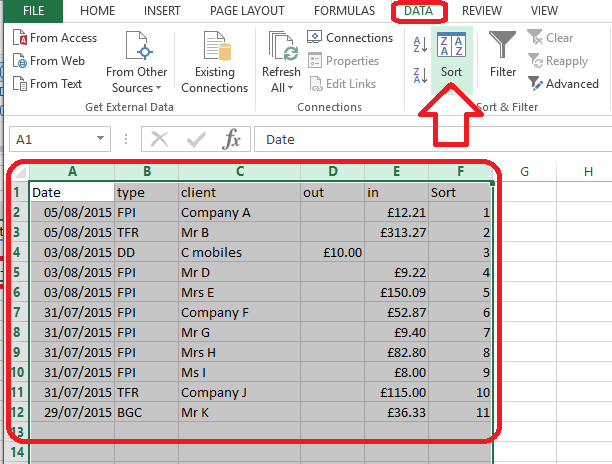 This article has explained the (slightly surprising) way to flip the columns in an excel 2007, 2010 or 2013 spreadsheet, not using data sort, but another message. If you need to reverse the order of your columns exactly, then this is the way to do it. If you’ve found this article helpful or if you have a better solution, please do post a comment below, and if you think others would find it useful, please share it using the sharing buttons below the article. Thank you! How do I print the gridlines in my spreadsheet in Excel 2007, 2010 and 2013? When you’re printing an Excel spreadsheet, how do you make the gridlines print, too? 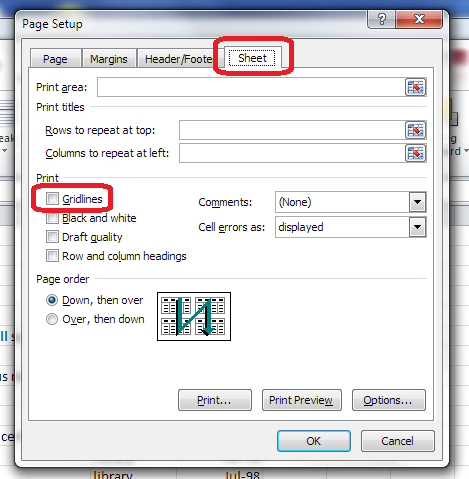 This article tells you how to print the gridlines automatically, working in the Page Layout Tab, in Excel 2007, 2010 and 2013 (screen shots are taken from Excel 2010). 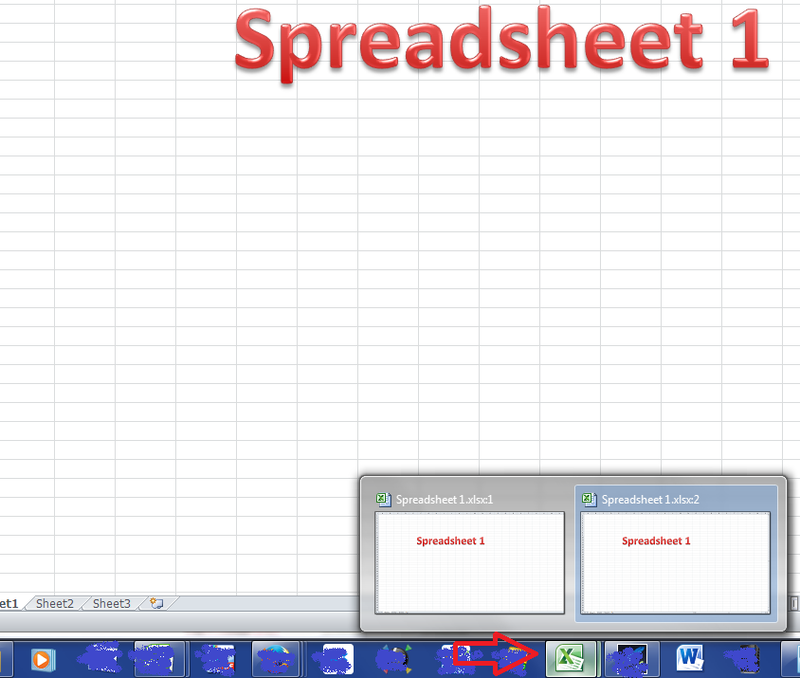 In this area, you can tick Print to make the gridlines appear when you print out the spreadsheet. You can also untick the View boxes so you can’t see the gridlines at all. I’m not sure why you might want to do this, but there it is. 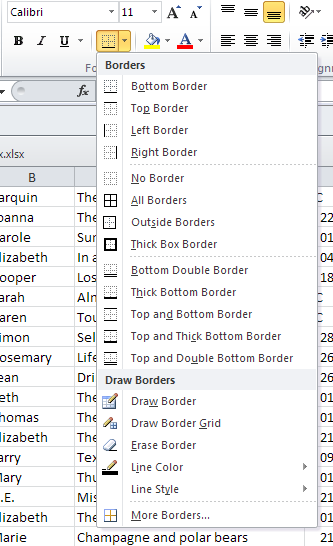 If you have used the borders option already to draw borders around some cells, if you print without ticking Print Gridlines, the borders you have added will print anyway; if you tick Print Gridlines, all of the gridlines and borders will print. 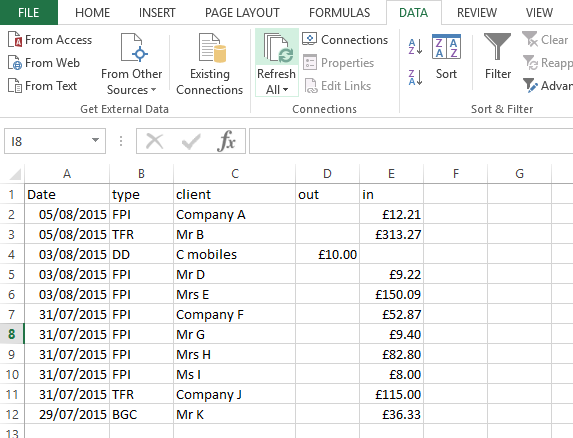 And that’s it – now you can print the row numbers and heading letters in Excel 2007, 2010 or 2013! If this has been helpful, please comment below or share the article using the buttons. Thank you! 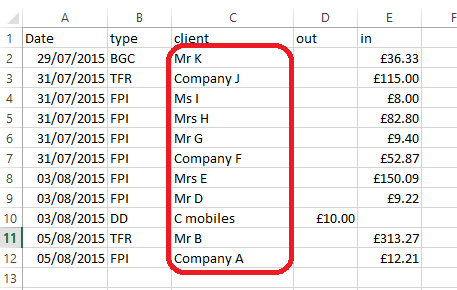 How do I print the row numbers and column letters in my Excel spreadsheet? 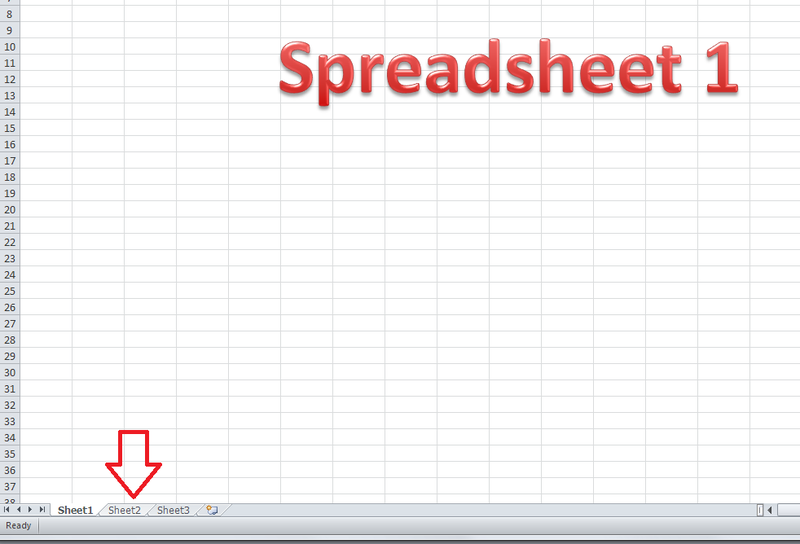 How do I print the Excel header row on every page of my spreadsheet printout? 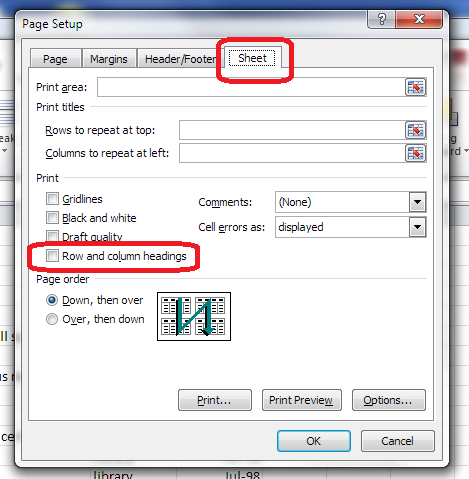 How do I print the Word header row on every page of my table printout? 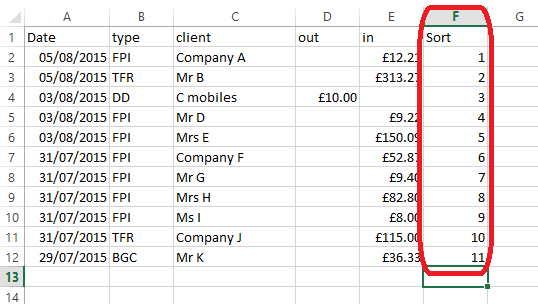 How do I print row numbers and heading letters in Excel 2007, 2010 and 2013? When you’re printing an Excel spreadsheet, how do you make the row numbers and heading letters print, too? 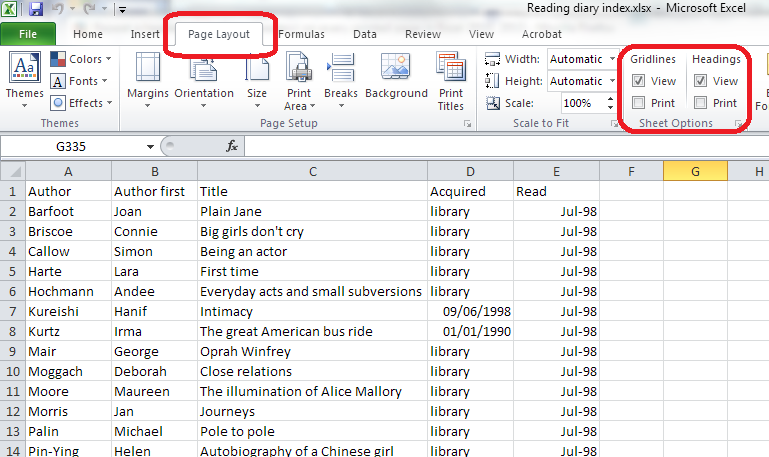 This article tells you how to do this, working in the Page Layout Tab, in Excel 2007, 2010 and 2013 (screen shots are taken from Excel 2010). In this area, you can tick Print to make the headings (or, indeed, the gridlines) appear when you print out the spreadsheet. Note that if you want to, you can also untick the View boxes so you can’t see the headings. I’m not entirely sure why you wouldn’t want to see those, but the option is there. How do I view two sheets of an Excel workbook at the same time? 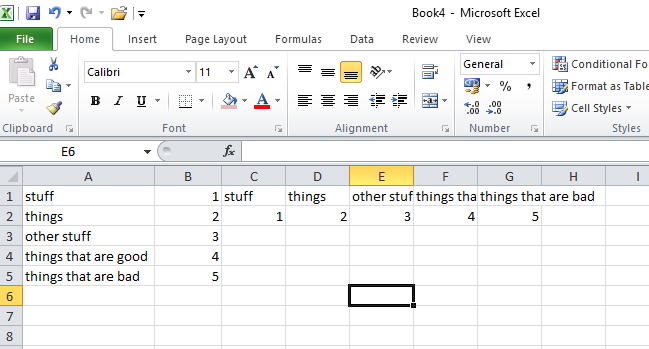 You’re looking at an Excel spreadsheet workbook which has more than one individual sheet, accessible via clicking on tabs at the bottom of the workbook. 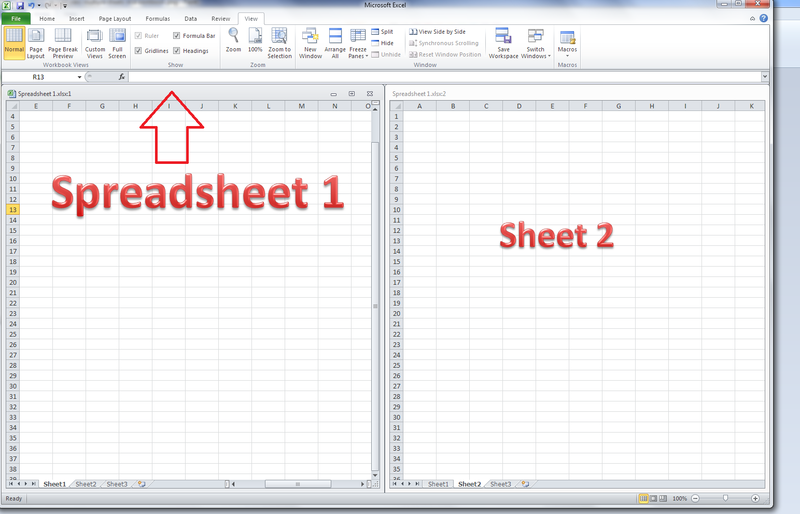 This article shows you how to view two different sheets in the same workbook side by side on the page. This article is valid for Excel 2007, Excel 2010 and Excel 2013. 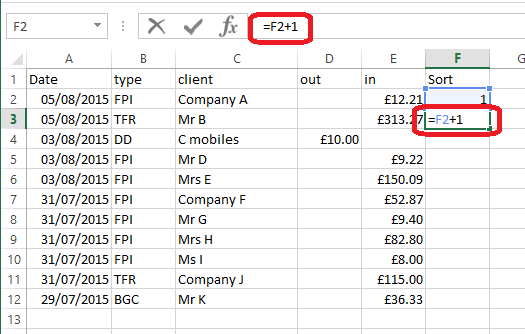 It follows on from my article on different ways to view multiple spreadsheets at the same time, and you may wish to refer to that article for further details on the options. How do I view multiple Excel workbook sheets side by side? 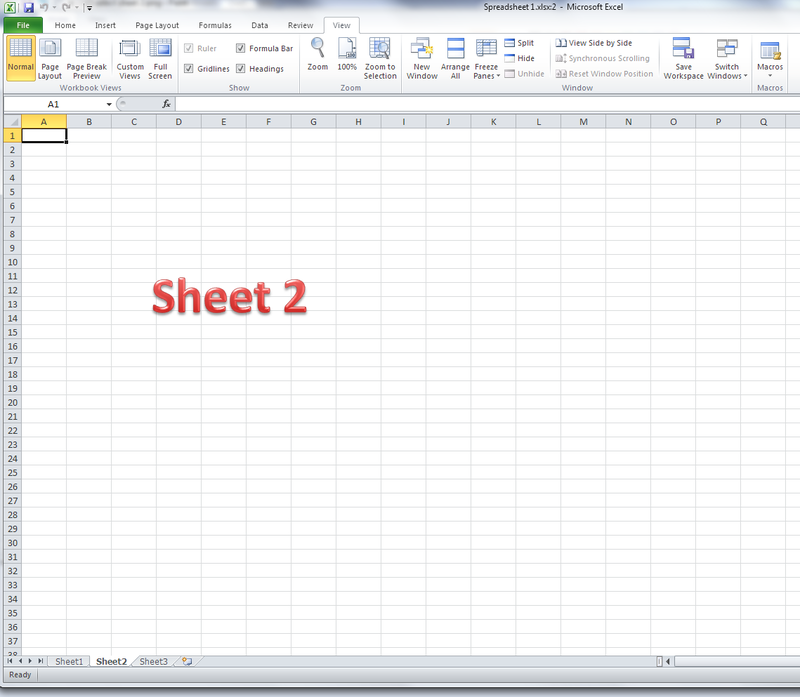 However, when you do this, the new sheet is displayed in the window, and you can’t see Sheet1 any more. To be able to view both (or more) at the same time, you will need to create a new window containing the second sheet, and then display them next to each other. How do I create a new duplicate window in Excel? If you want to view more than two sheets, follow this process for each additional sheet that you wish to view. What are my options for viewing multiple sheets of one workbook in Excel? For details of all of these options and what they do, please see my post on viewing multiple spreadsheets at the same time. How do I get back to viewing only one sheet at a time? 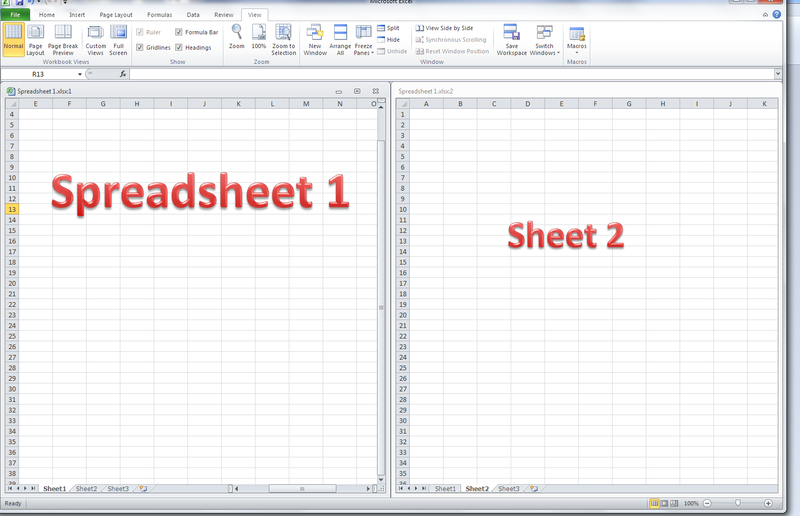 In this article, we’ve learned how to view two or more sheets belonging to one Excel workbook on the screen at the same time, and how to return to a single sheet view. If you’ve enjoyed this article and found it useful, please take a moment to share it using the buttons below! Please note, these hints work with versions of Microsoft Excel currently in use – Excel 2007, Excel 2010 and Excel 2013, all for PC. 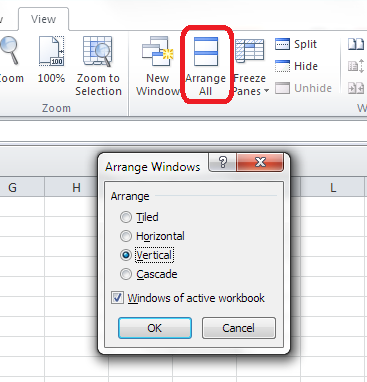 Mac compatible versions of Excel should have similar options. Always save a copy of your document before manipulating it. I bear no responsibility for any pickles you might get yourself into! Find all the short cuts here … and view the blog resource guide here. How do I view two Excel spreadsheets at a time?